Every learning struggle has a cause. That cause is most likely cognitive skill weakness. The good news is that those skills can be trained and strengthened. At Easing Learning, a student's education and learning is valued. It is believed that taking the time to determine what a student's learning style is can be just as critical, if not more so, than having expert knowledge in the field being tutored. My company's mission is to empower students with the skills to become confident, effective, independent learners. We do not only view our roles as tutors but also as learning coaches. Learning should be fun. 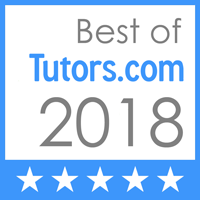 We respect the uniqueness of each student's learning process and will take the time to figure out what learning tools and teaching methods need to be used to help an individual's learning progress in a fun, challenging, and rewarding manner. This perspective and approach has earned Easing Learning a number of honors including Best of Bellingham 2015 and Thumbtack Best of 2016. The confidentiality of students and their families with always be highly respected. Helping the student be successful is top priority, not the amount of money being made.